The crystal, clear, warm water of the Cayman Islands has made it one of the top scuba diving destinations in the world. Divers will explore the walls and ship wrecks of Grand Cayman, Little Cayman and Cayman Brac. The Cayman Islands are a British Crown Colony which lies 480 miles south of Miami and is nestled in the turquoise waters of the western Caribean. Visit www.aggressor.com/cayman.php for more information. Trip starts by boarding the ship in George Town Grand Cayman and also ends there. Air fare to Grand Cayman is NOT included. See web site for diving, accommodations, meals and other details of the trip. Cabins are double accommodations and price slightly varies with location aboard. Cost is per person and varies from $2500 to $2700 per person. Deposit required to reserve your space. We only reserved 10 spots so don’t miss out of this special discounted price so call us or stop by to join us on this special adventure. By the way, if you like diving than you will love the 5 dives a day schedule. Florida's east coast, Keys and Bahamas. your next trip. Check EVENT CALENDAR for available dates. 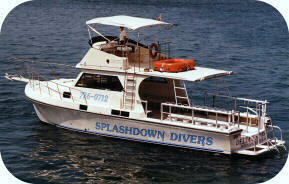 BOYNTON BEACH DIVE TRIP ($295 per person) - 2 days / 1 night dbl/occ. Boynton Beach is one of Florida's best dive spots where divers can see reefs, wrecks, and LOTS of marine life! This trip is a great weekend getaway. Price includes hotel room and dive boat fees and more. 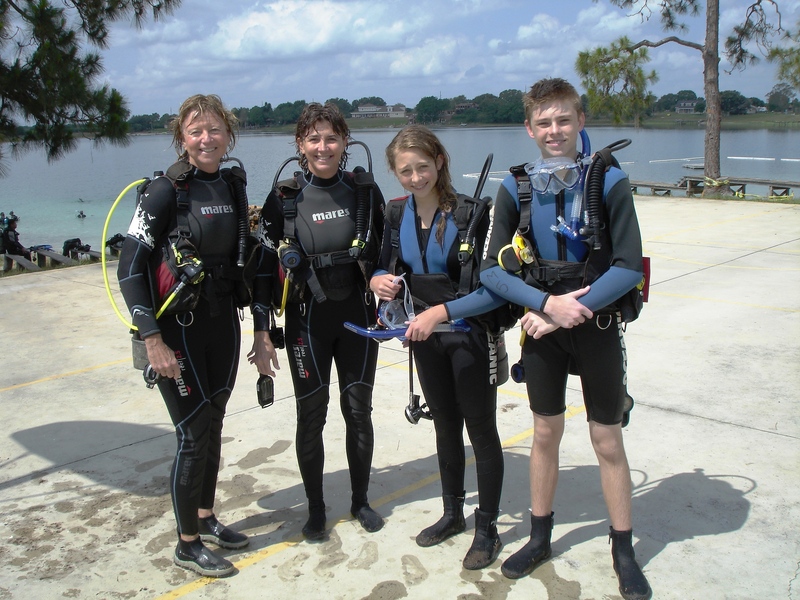 We use Lake Denton in Avon Park for our Open Water Check Out Dives. The lake is spring fed with a white sandy bottom and lots of aquatic life. There are also a few small wrecks scattered throughout the area that we use. Lake Denton is a very popular check out dive spot and is used by shops all over central Florida. The lake is about an hour and forty minutes away from Tampa.